Woodworking Saw. Which type of saw is best for woodworking? Woodworking involves several operations like cutting, turning, sanding, polishing, drilling and more. What equipments you would need for your woodworking shop depends on the type of projects you do. Are you going to do small DIY projects? Thinking of building wooden cabinets and serious woodworking jobs? In any case, one of the essential tools in your shop is going to be a power saw. There are several types of saw machines according to their purpose. Following are some of the most popular ones. A bench saw or table saw is one of the most commonly used woodworking machines in any shop. It is used to cut and size boards and blocks into required size and shape. A circular saw blade which is fitted beneath the surface of the working table. According to the thickness of your board to be cut, you can adjust the blade height to project from the surface of the table. Once you start the machine the circular saw blade starts rotating and you are ready to make the cut. 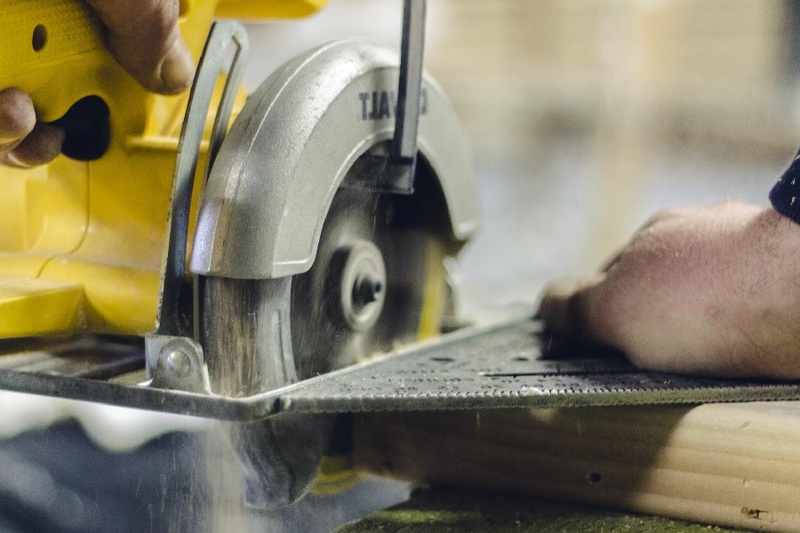 Push the wood onto the saw blade that is rotating at high speed to carry-out the cutting. With a bench saw you can rip the lumber, do crosscut, make square edges and with the help of a miter gauge you can do angular cutting as well. Circular saw works on a similar principle of the bench saw. However, in case of a circular saw, your work will stationary and the saw will be moved across to do the cutting. Circular saws are mainly used to do crosscutting and angular cuts. For ripping, a bench saw the simplest option. Technically you can use a circular to do everything that a bench saw does. However, you need much more practice to make straight and accurate cutting using a circular saw, while bench saws are simpler to use. Miter saw does one job very well. That is doing angular cuts. A compound bevel miter saw also useful to do bevel cuts and miter cuts simultaneously.